French Polynesia, in the South Pacific, consists of five main groups of islands, the most famous of which is Tahiti. The island of Raiatea is the perfect starting point for a sailing holiday to discover the Society Islands. 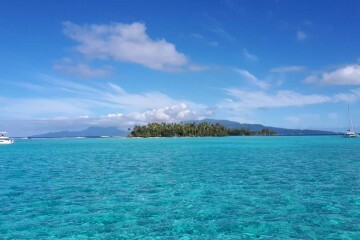 The ones of the classic itinerary, with Raiatea as departure base, include Tahiti, Moorea, Bora-Bora (probably the most beautiful lagoon in the world), Tahaa and Raiatea. With a landscape of jagged volcanic peaks as well as luxuriant vegetation and breathtaking waterfalls, many people consider Tahiti a kind of heaven on earth.